The Casona d'Err. It is rented for 2 people to 14 people according to number of people, in Err 5 minutes from Llívia. 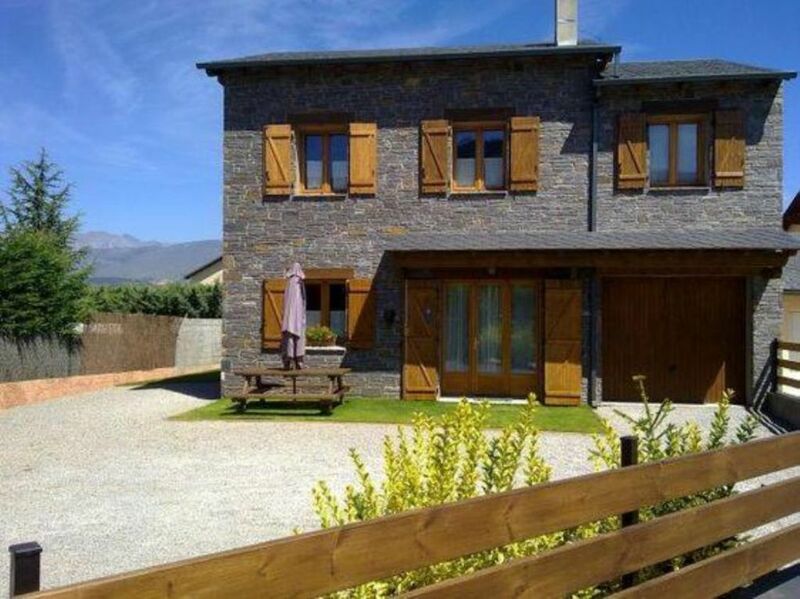 (high Cerdanya) 4 double rooms i 1 quàdruple with 2 bunk beds and large attic with 2 sofa beds, 2 bathrooms, heating, 2 llar de foc, 2 lcd tv, 2 kitchens, equipped with appliances and dishwasher, Nespresso coffee machine and Oroley, utensils kitchen, etc. Garage-Storage. BBQ area with picnic tables outside. Ideal for groups of friends and families. Er poblet situat a Alta Cerdanya, in the poble hi ha estació del famós Train Turístic 'Tren Groc' or 'Train Jaune' amb vago descobert, a l'Estiu Complex Aqualúdic amb aigua temlada, i aigües termals com Dorres or Llo per tot l 'any. Estem situats in a lloc privilegiat al Pirineu on es pot to practice infinitats d'activitats durant tot l'any, to the Hivern tot the one that this relacionat with the neu, 14 skiing stations to the zone d'equí alpí i de fons . To the Spring i Estiu tot canvia of color, the verd is the dominant color on time is practiced tot tipus d'esports to the muntanya, molt recomanable ascensions to the Puigmal 2900 mts, the Carlit 2921 mts tot passant pels estanys de Bolloses, i spectacular the Cambre d'Aze 2750 mts, també hi have infinitat of easy passejades com per exemple Prat de Cadí, llac de Font Viva or els dòlmens d'Eyne. To the Tardor the climate is suau hi han Bolets fins l'arribada of the first snows. Nous avons était très bien accueilli par Jaume. La maison était propre et ranger. Le seul bémol c'est qu'il n'y avait pas la WiFi et la télé du haut était en espagnol mais nous nous en sommée très bien passé ! Nous pensons revenir très prochainement. gràcies nois!! fins la pròxima. El propietario muy amable. Y la casa impecable! Espero tenerles em mi propiedad cuando quieran. LOVELY PEOPLE TO 15 MINUTES OF SKI (PUIGMAL 2900), 10 MINUTES FROM HOT SPRINGS (BAINS DE LLO I DORRES), IDEAL COUPLES WITH CHILDREN AND GROUPS OF FRIENDS. It is located in a privileged environment, where out can take many activities: Golf, Hiking, Climbing, Vias Ferratas, Alpine Skiing, Cross Country Skiing, Snowshoeing, Paragliding, Canoe, Rafting, Hot Springs, Paintball , Riding, Balloons, flights in light aircraft, Gliding.